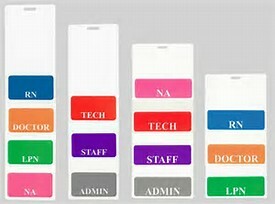 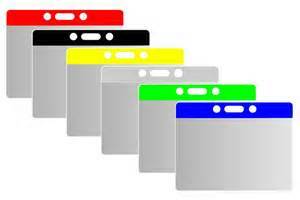 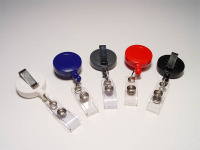 Quickly identify your employees by the color of badge holder. 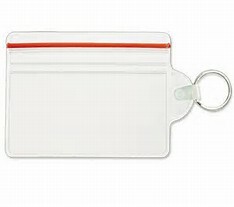 Horizontal or vertical format, clear vinyl pocket with top color bar with chain/slot holes. 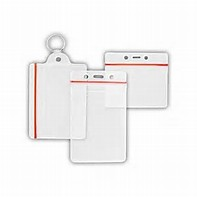 Holders have a mil thickness of .009 in front and back.